cucumber raita - cooling raita made with grated cucumber and lightly spiced. wash the cucumber. peel the cucumber and grate it in a bowl, beat the curd till smooth. add the grated cucumber to the curd. add all the dry spice powders and rock salt or black salt. mix well and serve cucumber raita. optionally you could even garnish the cucumber raita with some coriander leaves or mint leaves. 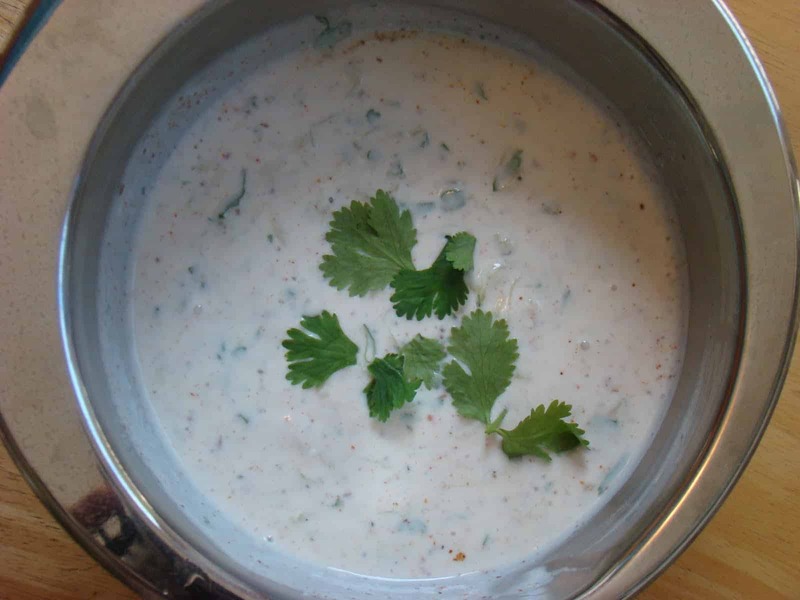 1. the cucumber raita recipe can be double or tripled. 2. if you are making cucumber raita for fast/vrat then add rock salt/sendha namak.